This Swan Housing Association project provided 65 one, two and three bedroom apartments for private market rent in a single residential block, each with its own private amenity space. Kaybridge was awarded the groundworks which incorporated pile caps and ground beam foundations, drainage, hard and soft landscape and superstructure package. 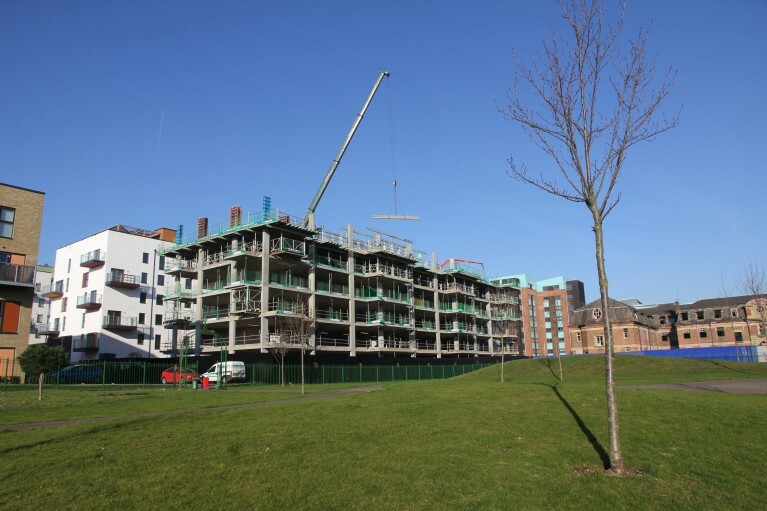 A five storey and roof slab reinforced concrete frame incorporated over 120 shear load dowels installed across movement joints, installation and testing of heavy load hooks for future servicing plant and elevated pedestal paving to the roof slab.